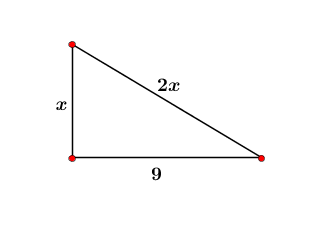 Find the length of the indicated side. 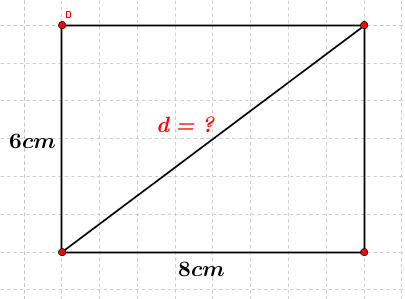 Find the length of the diagonal of a rectangle whose sides are 6cm and 8cm. 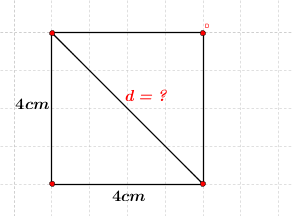 Find the length of the diagonal of a square whose side is 4cm. 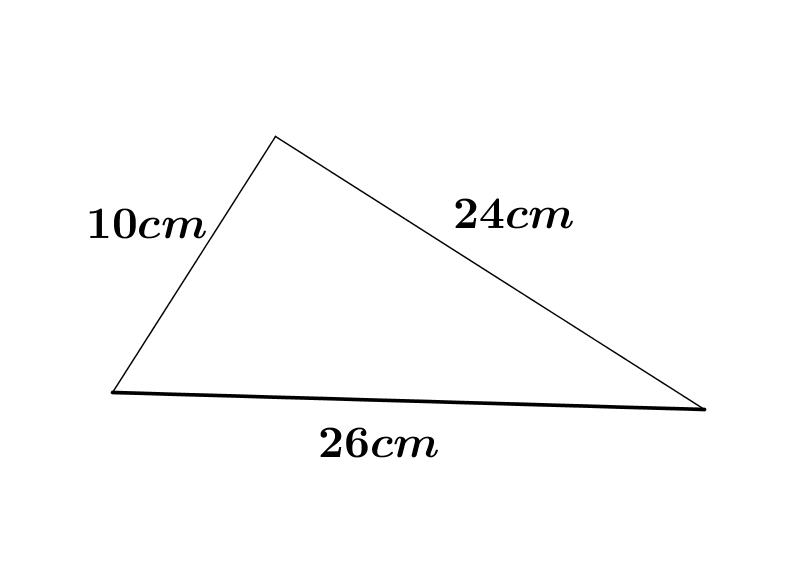 The triangle whose sides measure 7cm, 8cm and 10cm is a right triangle? 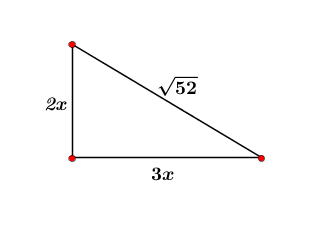 The angle ABC is a right angle. 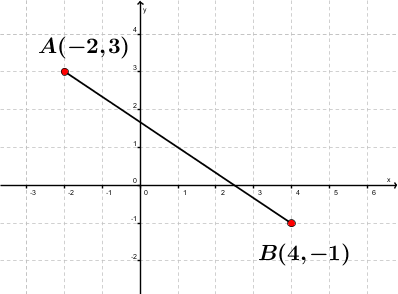 Find x using the picture at the right. 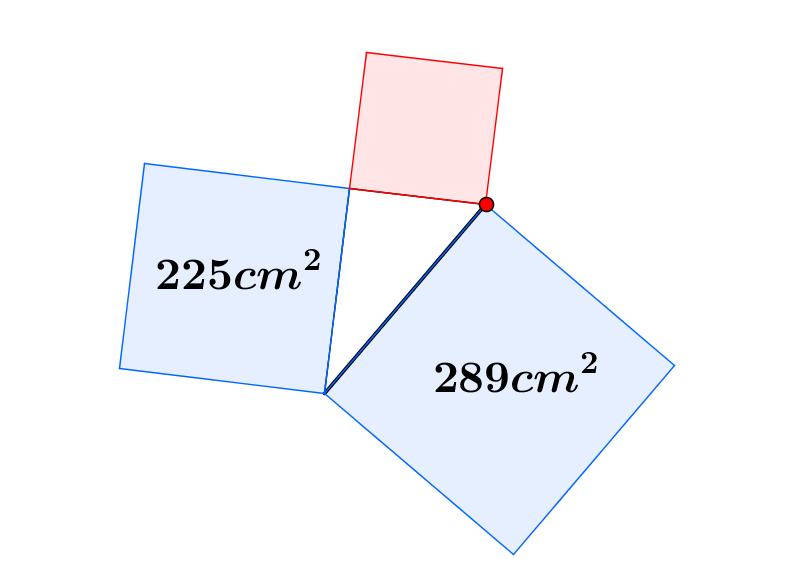 Find the area of the red square. 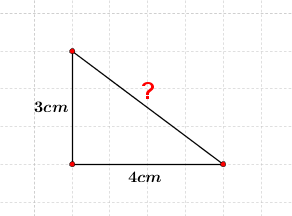 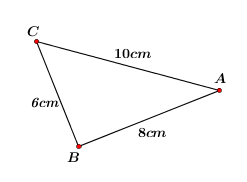 Does this triangle have a Right Angle.